Here you will find all you need for your next bushcraft wilderness adventure. We have gear reviews for all of your outdoor needs. We are not your traditional storefront, but a marketplace where the items can be purchased. You will also find helpful product recommendations to make your next purchase the right one. Please have a look around at some of the best bushcraft, survival and backpacking equipment available. Each review is done by category and can be viewed using the menu option at the top and bottom of any page. We like to define it as being able to tame the wilderness. It’s having the survival skills to go out in nature and not just survive but thrive. Bushcraft is having the knowledge to build a shelter, hunt, forage and start a fire. It also entails having the proper tools and know-how to use in wilderness survival. Bushcraft is tuning into the natural world, by learning to live the way our forefathers did, with sustainability, hard work, and perseverance. Bushcraft is about being trapped in the civilization and finding your own way back to the wilderness. It is the ability to have knowledge of your gear and be comfortable using it. Bushcraft is being in harmony with the environment your in, not fighting against it. Bushcraft skills are becoming a lost art that we hope to revitalize. Let’s look at some of the basic gear you will need for your bushcraft wilderness adventure. Please click on any of the gear below to see our product reviews. A good quality rucksack will keep all of your essential gear protected and by your side. It should be strong and rugged enough to handle any situation and large enough to fit all of your gear and supplies. It should be comfortable and accessible. A good knife is a mainstay for any Bushcrafter. It has to be sharp, functional, strong and durable. A bushcraft knife should be of high quality and made to last. Good quality steel can make or break a knife, sometimes literally. Choosing a knife with the proper steel for the job is at the core of picking a good bushcraft knife. There are many different types knives for wilderness survival. Finding the correct knife for the job is easy if you know where to look. An axe is a must when chopping wood for a fire or just clearing an area to settle down for the evening. Having a good sharp axe can make your life out in the bush much easier. A good bushcraft axe should be effective enough to do the job, yet small enough to fit in your pack. A good shelter is crucial for survival in the wilderness. Staying warm, dry and out of the elements is key to any outdoor excursion. Sometimes a basic tarp setup is all you need. But having a good tent or hammock maybe the best way to stay out for extended periods. Having a good shelter or sleeping bag will make your time outdoors safe and enjoyable. Clean drinking water is a vital part of your bushcraft kit. When you are out in the wilderness to clear water sources can be hard to find. Water filtration systems have come a long way over the years. Allowing for very effective purification methods. Having a good water filtration system is crucial to your survival. You will need a place to store your clean drinking water. A good canteen is the best place to keep it. 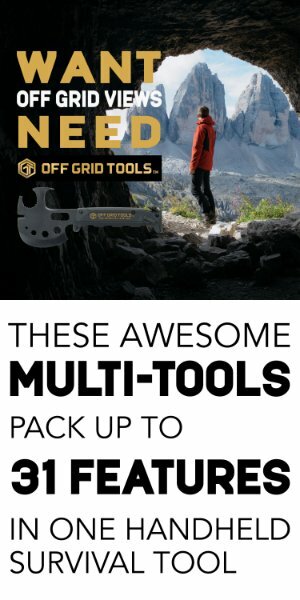 It is a must-have item for any backpacker or bushcrafter. You never know when you will meet that real survival situation when your two main concerns will be hydration and temperature regulation. A canteen and cup can be used for cooking, boiling water, signaling for help, heating or simply making a cup of coffee. A good fire is essential when being out in the bush. It will keep you warm and safe out there in the backcountry. Having the proper tools and knowledge to start a fire is extremely important. Learning how to make a fire using flint and steel, Ferro rods, fire pistons, char cloth and other methods is part of being a good bushcrafter. Having a good cookset is must have out in the wilderness. Sometimes when building a large fire is not an option, a good cook set and stove can save the day. There is nothing like a hot meal or a cup of tea or coffee to get you to your next stop. With a small stove sometimes it’s nice to take a break where you don’t have to worry about building a whole fire, just to have some hot water. That is when a good wood or gas stove comes in handy. Most of today’s stoves are small, compact and efficient. Being out in the wilderness can bring unexpected situations. Having the right first aid kit can be a lifesaver. You never know when you may need to mend a wound or brace a sprained ankle. A properly stocked medical kit will have you prepared for any situation that comes your way. You should always carry a good map and compass. If available a map of the terrain that you are planning to explore is a great way for you to stay on track. There is nothing worse than being lost. A proper map and compass can help you work your way out of any outdoor wilderness area. We hope that some of these suggestions on the proper items to carry in your bushcraft kit will make your next outdoor adventure a safe and memorable one. Having the proper skills and equipment on an overnight adventure can make or break your stay. Living the outdoor lifestyle has become a way of life for us here at the Bushcraft Survival Store. Please check out our reviews on bushcraft gear and our blog page for recent tips and articles on bushcraft and wilderness adventures.